When we think about discipline, we are using an aspect that often gets overlooked: our brains. Our brains are a very integral part of discipline, both on the part of the parent and the child. We want our children to think about their actions, assess situations, and make decisions based on what is the best course of action. All of that involves using their brains. Our children are born with a thirst for knowledge and learning, but the brain of a newborn is not fully developed. It takes years for a child’s brain to fully develop, often into the mid-twenties. Many parents simply expect more from their children than their children are capable of doing. The Brain is Changing A child’s brain is changing. 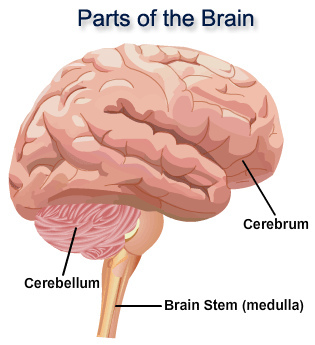 Not only are our children’s brains developing, moving from using the reactive reptilian or old mammalian brain (the brain stem and limbic region), which the authors refer to as the downstairs brain, and further developing the upstairs brain, which allows more complex thought, but the brain changes with experiences and what we have learned. Our children need time to develop the part of the brain which controls thinking, emotional, and rational skills. While we can help aid the development of those skills by how we interact with our children, it still takes time for a child’s brain to develop. The Brain is Changeable Our brains physically change with our experiences. We can help our children to develop their brain by our words and actions. According to Hebb’s Axiom, “neurons that fire together wire together.” This means that as we talk our children through various situations and help them to positively navigate them, we are helping them build positive ways to handle future situations. This also means that we can change how we act and respond in our own lives, including how we interact with our children. If you don’t like how you are currently interacting with your children, you can change that. If you need a little help, check out some of the resources at the bottom of this post. The Brain is Complex Different parts of our brains are responsible for different tasks. This means that we can appeal to different parts of our child’s brain as we help them to navigate life. Rather than Poking the Lizard (which Mandy addresses at Living Peacefully with Children), activating survival instincts in the primitive reptilian brain, we can help our children engage the portions of the brain responsible for calm decision making and controlling emotions and impulses. At Code Name Mama, Dionna discuss this technique known as Name it to Tame It. By using our knowledge of how our children’s brains react and function and by working together with them, we can not only have a less drama filled life now but help them develop the tools and skills they need for a lifetime. Do you need help to stop yelling? 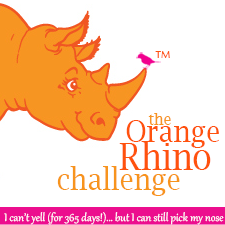 Check out the Orange Rhino Challenge. There you will find techniques and support to help you stop yelling. It’s FREE. What do you have to lose? But more importantly, what do you have to gain from a more peaceful, responsive relationship with your kids? Amy, a Natural Parents Network volunteer, offers gentle parenting coaching sessions at Presence Parenting. Or join her Sane Parenting Challenge. Looking for some inspiration to stop spanking? Check out these podcasts from the 2014 No Spank Challenge hosted by Parenting Beyond Punishment. 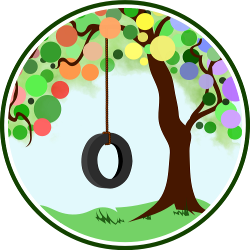 Peruse their resources or join an upcoming Collaborative Parenting Consultation Group. There is a 6 week session beginning in March. Of course, you can always find support at Natural Parents Network. Send questions to our parenting mentor volunteers or ask questions on our Facebook page.